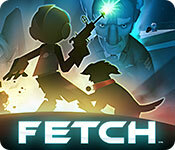 Fetch is rated 3.9 out of 5 by 36. Rated 5 out of 5 by Talisbird from Unexpectedly entertaining as not my usual choice of game I survived to the end of this game in spite of being rather inept at arcade games. Although I got a zero score on the Ship Invaders mini game, I managed to keep up with the others. I reckon the game has plenty of challenge even for the flighty of fingers. Meanwhile there are plenty of things to do for the less able. The story is excellent and I enjoyed the puzzles. The ending is great. See for yourself. No spoilers! I could enjoy playing this one again. How about another one, developers! Rated 5 out of 5 by ck22272 from Loved it Great game with nice graphics, challenging but not impossible. Enjoyable. Rated 5 out of 5 by Kasrobn from Oh so different, and loving it! I will preface this with the warning that this game will not be for everyone. If you expect to whip through every scene with the greatest of ease, look elsewhere. If you frustrate easily and do not like going back and forth to solve the problem, ditto. However, if you want lovely graphics, a kind and beautiful story, a good stiff challenge, and lots of little hidden fun look no further. This is one of the best in years, and oh so different from the pack. As some have mentioned this is related to the Drawn series. It was one of my favorites so I have been waiting for another for a long time, and the demo, at least, does not disappoint. Plus, I love dogs... so rescuing them just comes naturally. So give the demo a go and try to breath if you get frustrated. Like so much in life, the best things do not come too easily. Rated 5 out of 5 by swtndsr2 from Great Game I never comment on a game, but this one its so wonderful with the story line and the challenge...give it a try!!! Rated 5 out of 5 by CameoLove from Fun Adventure! Something different! I love this type of adventure game. Once I started I couldn't quit playing until I finished it. Rated 5 out of 5 by Seji from Go Fetch! ....this game. It is absolutely adorable and suitable for everyone. I'm so tired of dark, scary HOGs. This just fits the bill for something brilliant, beautiful and fun. But don't take my word for it, try it! Great game. Rated 5 out of 5 by beckykay from Refreshing Entertainment This game was a truly pleasant surprise. The storyline is interesting and fun. I also enjoyed the arcade games. The game can be a challenge, but it's an adventure game and so very refreshing. The only thing that was disappointing about it was the length. It's a bit short, but I purchased as a 2.99 special and it was well worth the short amount of time. Keep more games like this coming Big Fish! Rated 5 out of 5 by Mazou884 from Different, beautiful, touching Like many other players, I am always looking for games that are not the standard, same HOGs coming out all the time. After playing the demo, this little gem grew on me. The artwork, by creators who worked on the 'Painted' series (we even get to see Iris here!) is just as quirky and charming. There is little dialog, short and mostly sounds. We are encouraged to explore and 'touch' everything. The results sometimes made me smile or actually laugh. There is so much to do and not always enough time before moving to another scene. This does add to the replay value. 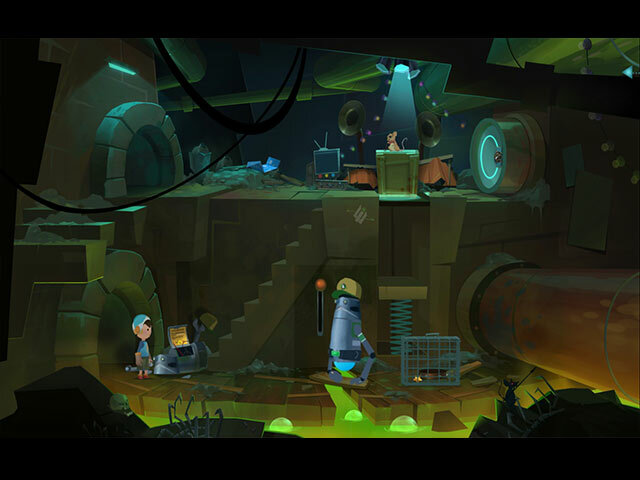 It is a point and click adventure with a thinking twist, but not too hard or impossible. If missing anything or stuck, there is an in-game walkthrough that can be very useful. There are however quite a few arcade-type of challenges throughout the game. Doable, not always easy. The walkthrough can explain how to play, but these challenges still have to be completed. This might not appeal to everyone. Of course, I bought the game and played it to the end. Very happy to have stuck it out. If animals are like family to you, you will also be glad that you did too. Rated 5 out of 5 by katnet44 from I love this adventure game! 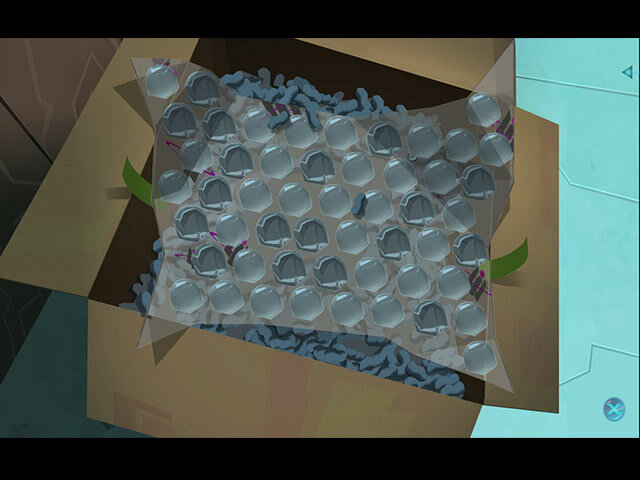 (Not a hidden objects game) This is point and click game. It is meant to be old school so don't diss it if you were expecting something else. This is an awesome game and actually one of my favorites I have recommended this game to family and friends. It is a touching game about the love of a dog by both child and adult. Don't give games low scores because they aren't your cup of tea. That is an opinion on the type of game and not based on quality or story line. Rated 5 out of 5 by gallica2 from an absolute gem! for true HOPA fans, this will probably disappoint, but for me ( a puzzle person) this game was amazing. 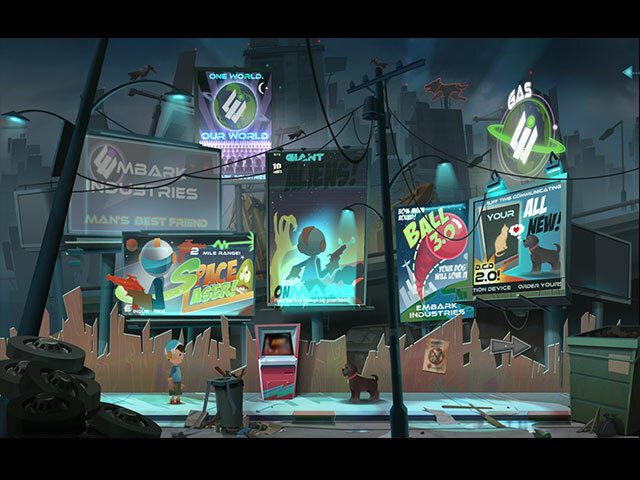 during a young boys search for his lost dog, he must encounter and solve riddles and arcade type games, some more challenging than others. although not a fan of arcade games, i managed to get through most of them due to the 'easy' setting and repeated attempts. the other puzzles were location-based, logic challenging and object oriented. the game is so well thought out. the graphics are cartooney but still wonderful. there is humour everywhere. the little grey cells (my brain) were activated and happy.